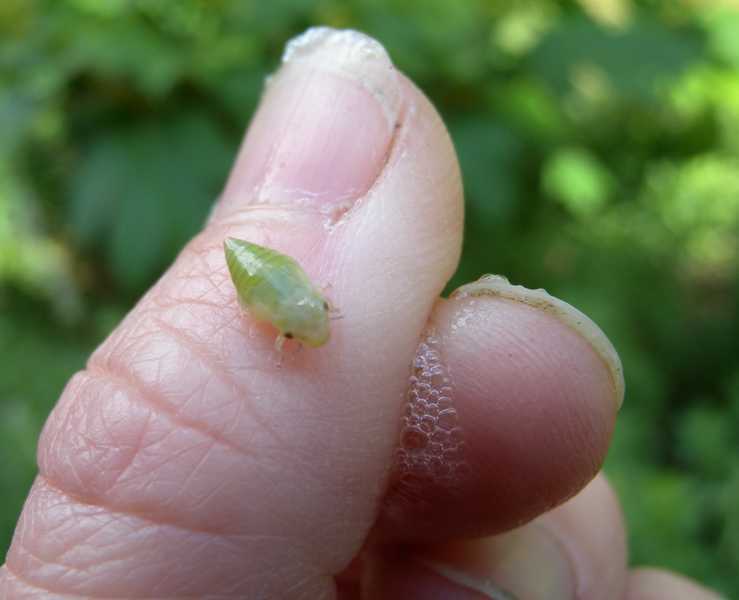 Adult spittlebugs resemble robust leafhoppers (see Hoppers and Planthoppers) with many varied color patterns. They deposit eggs in rows between sheaths and stems of plants near the soil surface. Yellow nymphs become green as they reach full development. The nymphs form the namesake spittle by mixing air with the excretion of their alimentary canal. 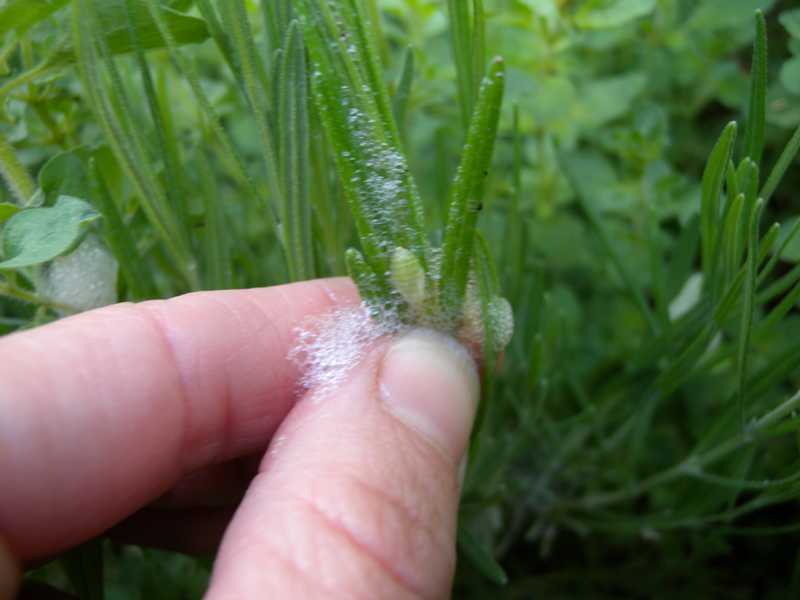 While perhaps unsightly, this most obvious symptom of the spittlebug's presence is not harmful to the host plant. 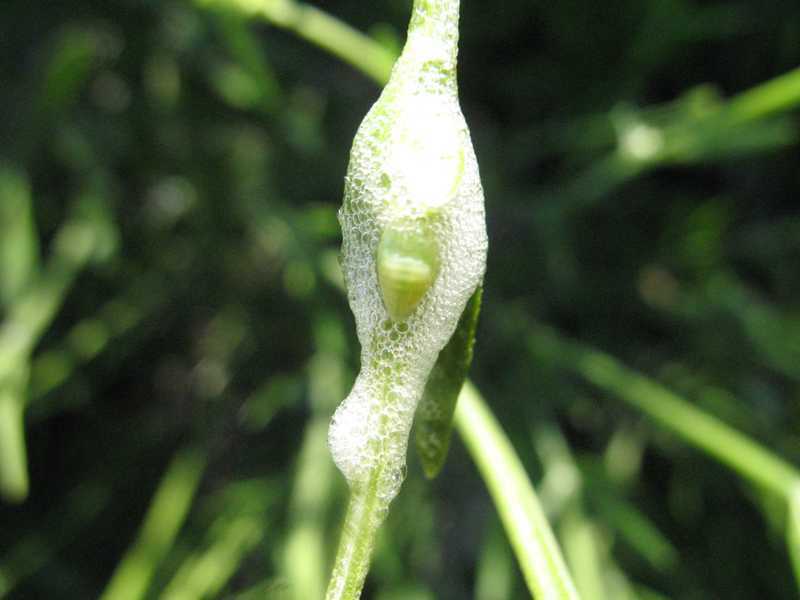 Injury is caused rather by both nymphs and adults, who remove plant juices with their piercing-sucking mouthparts. 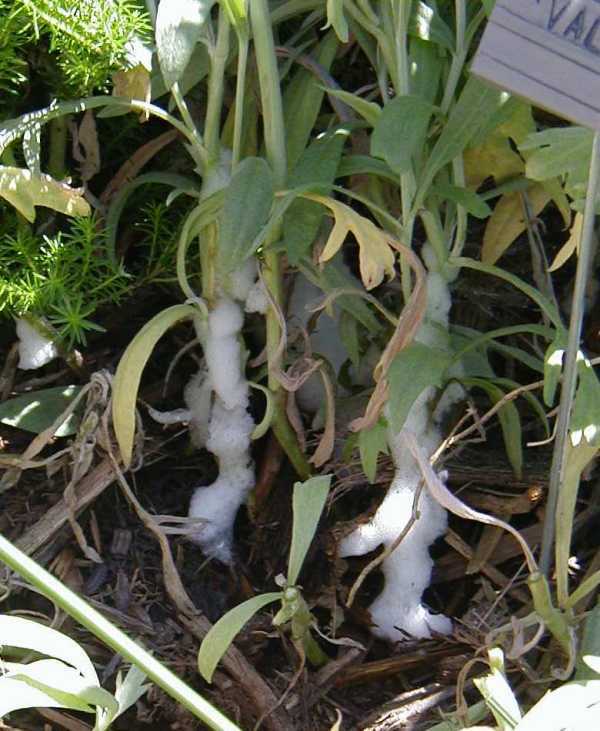 Resulting damage includes stunted growth, shortened internodes, dwarfing, and a general loss of vitality. 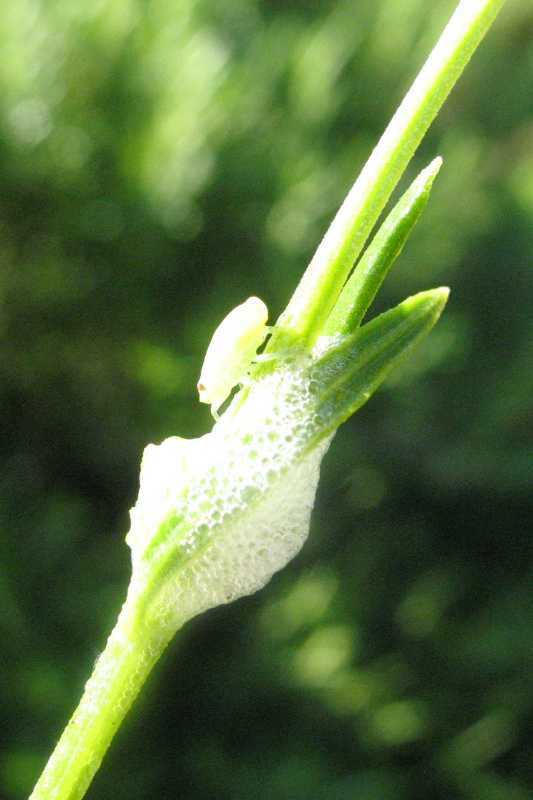 Strawberries, nursery stock, and legume forage crops are the spittlebug's favored hosts. 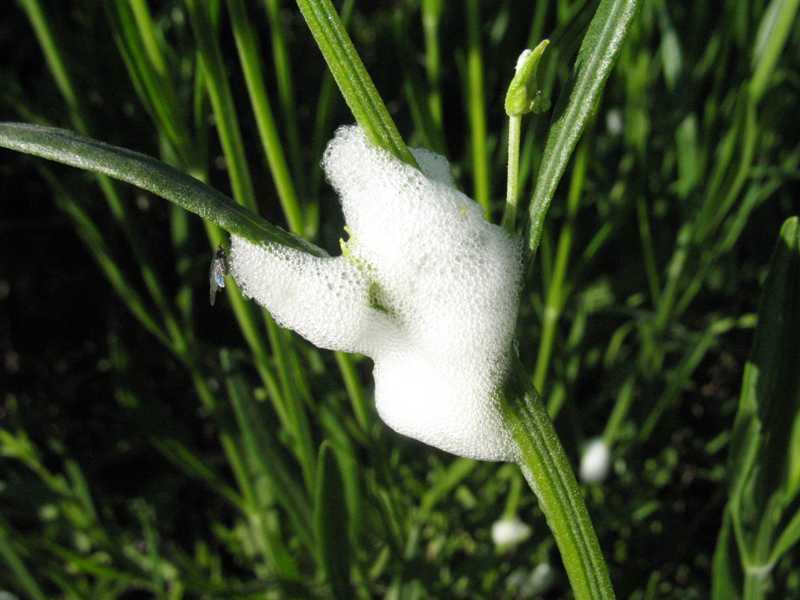 Control infestations with insecticidal soap, preferably before adults begin laying eggs. 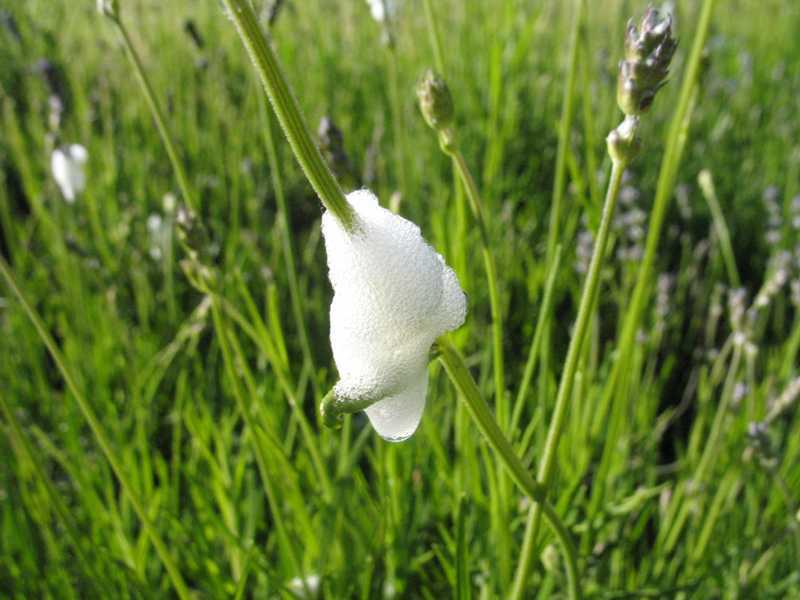 Alternately, nymphs can be easily handpicked from small strawberry patches or dislodged by a jet of water.